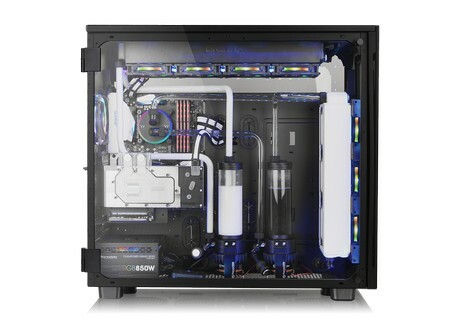 Thermaltake has announced its brand new View 91 Tempered Glass RGB Edition Super Town Chassis. It’s meant for high-end systems, and is the perfect way to show-off your internal hardware too. 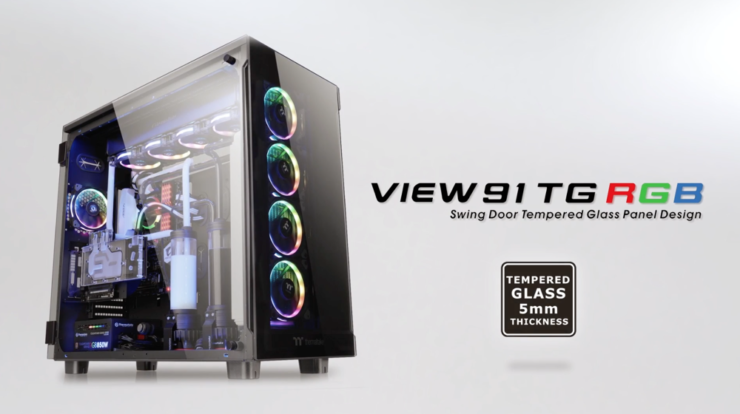 The Thermaltake View 91 RGB Edition PC Case is Now Official. Packs Insane, Patented RGB Lighting and Cooling Solution. There’s a lot happening in the View 91, and it’s best to break it down into several key pointers to better understand what you’re going to be dealing with. The View 91 RGB Edition features three 5mm thick tempered glass panels to show off your internal hardware and RGB lighting. It has four built-in 140mm Riing Plus LED RGB fans that are patented, and offer 16.8 million colors to cycle through and feature 12 controllable LEDs that are digitally PWM controlled through the Riing Plus RGB software. The software too is patented. The case can accommodate up to two large 200mm fans on top, three 140mm fans at the bottom. There is space for up to six 200mm fans inside the enclosure too. This means you can cool the hell out of anything there is inside the case without worrying about space. And speaking of space, this is an XL-ATX case, and can easily take up CPU coolers that are up to 200mm in height. It will even accommodate graphic cards that are as long as 600mm in length and PSUs of up to 220mm are a complete breeze for the View 91. And since it can take it so much already, your AIO/DIY liquid cooling system will work just fine with it. On the ports end, this thing is no slouch and it would be to criminal to underestimate it in any way. It features a USB 3.1 Type-C port for high-speed data transfers along with spaces for all your I/O. Literally, all of them. 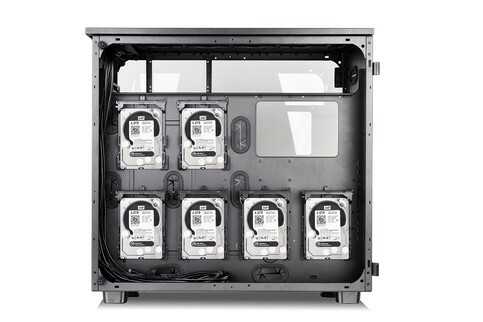 There is even space for up to 12 2.5-3.5″ and 10+2 expansion slots. The side panel of the case can easily swing open so you can access anything you like. Also, thanks to the quick-release bar design, you can swap out fans or reattach them at a moment’s notice. Needless to say, this case is absolutely modular. You can check out the full set of details of the case by heading over to this link. 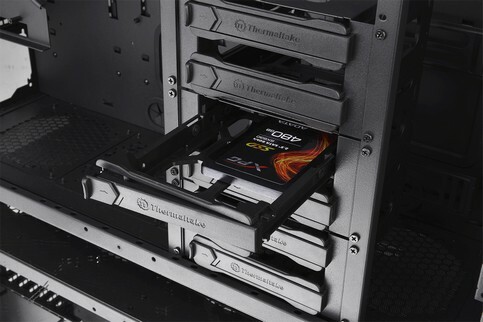 Thermaltake Shows off Versa J series and V200 Tempered Glass Cases.